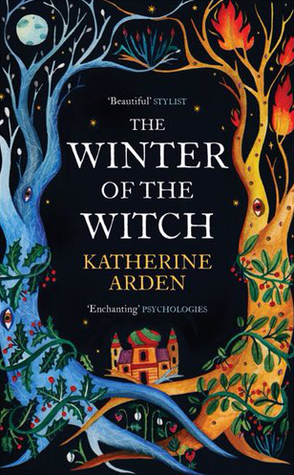 The Winter of the Witch was an amazing end to a brilliant series. I am so in love with these books, I fear I will go into withdrawal tonight when I try to start something new. I adored the culmination of this wonderful tale and was happy with the way things ended. I've loved the winter-king since book one and he's a character who will now never leave me. Even the occasional comma splice in the prose (which would normally irritate me) wasn't enough to put me off, because the story and characters were so magical. If you love original fairytales wrapped up in folklore, you simply must read the Winternight trilogy. This is definitely a series I will reread and will treasure my copies of the books forever. I hope Arden writes other works in this vein in the future. I am hoping to start the second book soon, and I expect a lot! Everyone is so crazy about it, so it must be good. I can't describe how much I love this series. I am still in withdrawal a bit now it's over. This looks like a good one. I love the cover. I can highly recommend the trilogy.